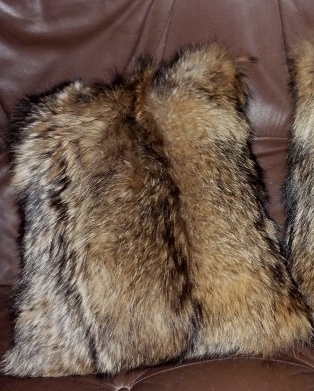 The decorative and cuddly soft fur cushions are of course made of real fur. Pillow has both sides fur. You can choose between nutria, fox, hamster, muskrat or finnracoon. Pillows can also be delivered with one side lining. Please have a look in the shop.